I love any Instant Pot recipe that saves me time. 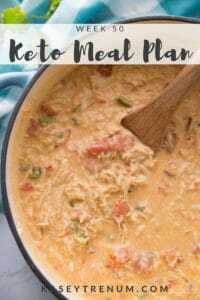 This Keto Creamy Chicken with Bacon & Cheese recipe is a perfect example of a delicious recipe that is ready in minutes. The Instant Pot makes meal time so simple, and you’ll love that this is so kid-friendly. 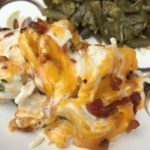 My recipe for Creamy Crockpot Chicken with Bacon & Cheese was one of the very first recipes I posted when I started this Keto/Low Carb journey several months ago, and it is very popular on Pinterest. It’s been a while since I’ve made it because I’ve been so busy creating new recipes. So, I thought I’d prepare it for lunch today in my Instant Pot. The past couple of weeks I’ve made several recipes in my Instant Pot, and I’m really starting to love it. It does make it so easy to prepare a quick meal in one pot with all the flavor and tenderness of slow cooking all day. I love that it offers so many different functions and allows you to saute or sear in the same pot. I made this for lunch today and it was so yummy! If you are looking to purchase an Instant Pot, there are tons of good deals on Amazon. I have this one. Find the Crock Pot version of this recipe HERE. Turn electric pressure cooker to saute and cook 6 pieces of bacon until crispy. Remove 1/2 of the bacon. Add chicken and next 6 ingredients to Instant Pot. Lock lid and set to manual high pressure for 11 minutes. Once the cycle is complete, allow a Natural Pressure Release for 6 minutes then quick release. I place a towel over the valve to release the steam when I release the pressure. Carefully open Instant Pot after the pin drops. Using 2 forks, shred chicken. Turn Instant Pot to Saute and add heavy whipping cream and cream cheese. Sprinkle 3/4 tsp Xanthan Gum on top and allow to simmer for a few minutes until the sauce begins to thicken. Sprinkle cheese and bacon on top and allow a few minutes for the cheese to melt. I calculate nutritional information using the MyFitnessPal App. 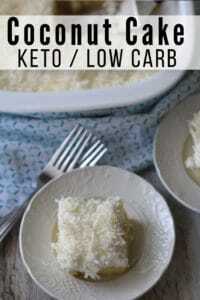 You can check out my list of best apps for keto macros to pick one that works best for you. 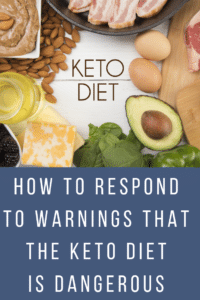 I personally don’t track keto macros, but many do as they begin this health journey. Do whatever works best for you and your needs. 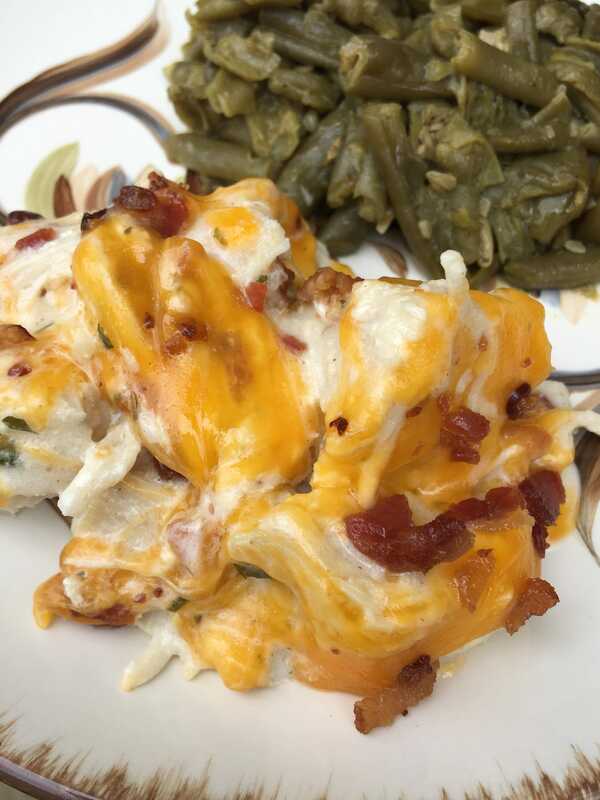 If you love this recipe for creamy chicken with bacon and cheese, then you’ll love all of my Keto/Low Carb Recipes in my Keto Recipe Index. There are tons of great ways to make chicken in keto-friendly methods. Your family will fall in love with all the new recipes you share, and you’ll love how easy they are to track on your new diet plan. 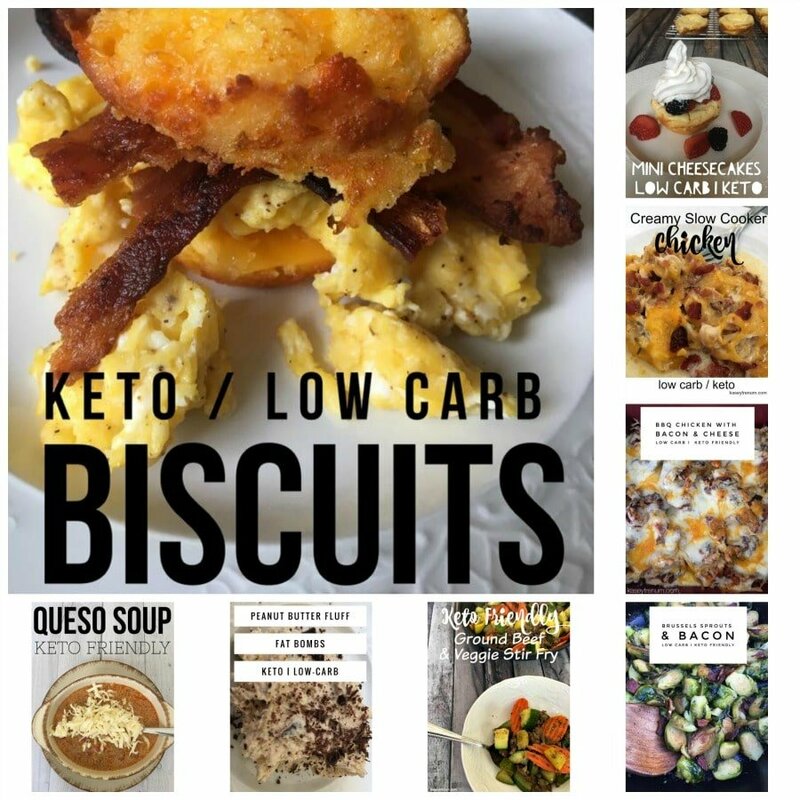 Below are some of our other favorite Instant Pot recipes that are also keto friendly. Can you make this dish in a crockpot. 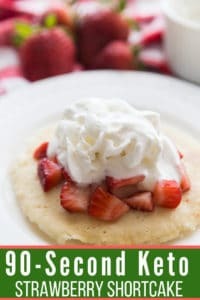 Yes, there is a link on this recipe that takes you to the Crock Pot version. This looks delicious! Is the garlic fresh or powdered? You could use either, but I used powdered in this recipe. I used frozen chicken breasts. I set it for 12 minutes and let it do a natural release. Turned out great. Great Tasting and easy!! I use frozen chicken tenderloin at 11 minutes. Cooked up perfectly. Can I use this with frozen chicken in the instapot? You can, but I don’t have a recommendation on cooking time as I haven’t personally tested it frozen. what if I don’t have the gum ingredient? Is that ok? It thickens the sauce. Without it the sauce would be thinner but should taste the same. I’m confused when a recipe uses a quantity vs weight for meat and poultry. Chicken breasts come in so many different weights and when a recipe calls for 4 – 6, I’m not sure if that’s true when the ones I have are nearly a pound a piece. In this case, maybe I should use 4 for 8 people?? I would just use how many you normally do to feed your family. Do you remove the bacon grease or leave it in there? I left it in there. How well does this meal freeze? I haven’t tried freezing it so I’m not sure. Is there something I can use as a substitute for the gum? It is the only thickening agent I have personally used. If you omit the recipe would taste the same but the sauce would be thin. Would be awesome with potatoes in it too! I think they are equally as good. Do you have a carb count on this? Can you tell me exactly how you sautéed the bacon in the instant pot and approximately how long it took for that step, please? I’m not a cook at all and have just purchased the instant pot, so apologies for asking you to detail the steps! I turned the Instant Pot on saute and dropped the bacon in then I stirred it occasionally while it was cooking. Once it was nicely browned, I removed it from the Instant Pot. I’m not sure how long it took. I would say perhaps 5-6 minutes. Made this tonight for dinner and it was soooooo good! Had to use a bit of cornstarch to thicken cause I didn’t have the gum ? ?‍♀️ But it was still AMAZING!!!! Can’t wait to try more of your recipes!! Made this last night as well, all five people at my house loved it, which is saying a lot as they are picky! I added some broccoli that I steamed in the microwave for 3 minutes with a few tablespoons of water at the end as well. Was fantastic, thank you! Yay! So glad all of you loved it. You are so very welcome. Love the recipe. However why is my sauce not thickening? Thank you. Not sure. I haven’t had my sauce not thicken up. Hope you figure it out. Let me know how it turns out. 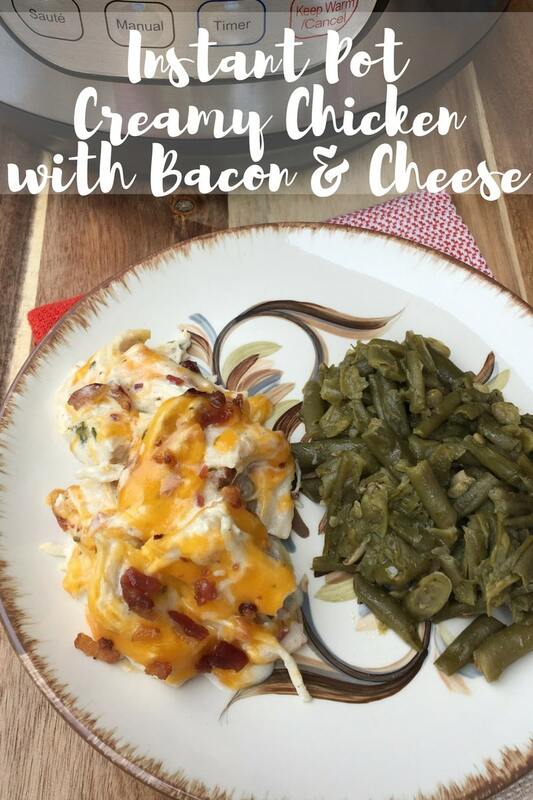 Hi Kasey- how many pieces of bacon do you use for this recipe? Ingredients say 6 pieces and then 3 pieces crumbled. Recipe says cook 6 pieces and then remove half. Are the 3 pieces you remove from the instant pot the ones you should crumble for the top or do you add another for a total of 6 pieces to the top? Not that I don’t like bacon – just not sure how much to actually make! ?? 6 total pieces – 3 you remove for the top. I fixed this last night for dinner in my Power Cooker pressure cooker and we LOVED it!! Never really used my cooker but once before…will be using more often now! Gonna try another recipe tonight!! 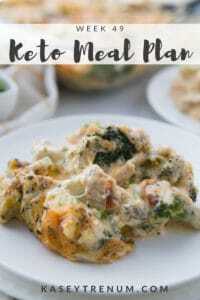 Thank you for easy keto recipes! How much is each serving? I thought maybe a cup but not sure looking at the finished product. I didn’t measure. I just divided it equally. I’m new to IP and Im drooling right now,,I don’t want to screw up this mouth watering dish..I’d like to use boness,skinless thighs. Could you please suggest your time for them?. Thank you for all you’ve done to perfect our keto lifestyle.!! Hey Jane, we really don’t eat dark meat. You can use the thighs but I haven’t cooked with them so not sure I can help on the cook time.